In today's world of constant security threats and breaches, enhanced compliance regulations and mandates, data protection capabilities have become forefront for all organizations. One thing that’s become abundantly clear in the internet age is that preventing unauthorized people from gaining access to the data stored in web-enabled computer systems is extremely difficult. All it takes is for a worker to click on the wrong link in an email, or respond unwarily to a seemingly legitimate request for information, and an intruder could gain complete access to all your data. In today’s regulatory and public relations environments, that kind of breach can be catastrophic. But what if you could be assured that even if an attacker got access to your information, they couldn’t use it? That’s the role of data encryption. The basic idea of encryption is to convert data into a form in which the original meaning is masked, and only those who are properly authorized can decipher it. This is done by scrambling the information using mathematical functions based on a number called a key. An inverse process, using the same or a different key, is used to unscramble (or decrypt) the information. If the same key is used for both encryption and decryption, the process is said to be symmetric. If different keys are used the process is defined as asymmetric. Two of the most widely used encryption algorithms today are AES and RSA. Both are highly effective and secure, but they are typically used in different ways. Let’s take a look at how they compare. 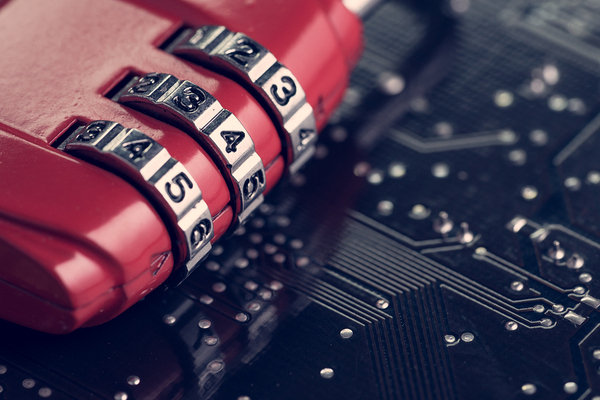 AES (Advanced Encryption Standard) has become the encryption algorithm of choice for governments, financial institutions, and security-conscious enterprises around the world. The U.S. National Security Agency (NSC) uses it to protect the country’s “top secret” information. The AES algorithm successively applies a series of mathematical transformations to each 128-bit block of data. Because the computational requirements of this approach are low, AES can be used with consumer computing devices such as laptops and smartphones, as well as for quickly encrypting large amounts of data. For example, the IBM z14 mainframe series uses AES to enable pervasive encryption in which all the data in the entire system, whether at rest or in transit, is encrypted. AES is a symmetric algorithm which uses the same 128, 192, or 256 bit key for both encryption and decryption (the security of an AES system increases exponentially with key length). With even a 128-bit key, the task of cracking AES by checking each of the 2128 possible key values (a “brute force” attack) is so computationally intensive that even the fastest supercomputer would require, on average, more than 100 trillion years to do it. In fact, AES has never been cracked, and based on current technological trends, is expected to remain secure for years to come. RSA is named for the MIT scientists (Rivest, Shamir, and Adleman) who first described it in 1977. It is an asymmetric algorithm that uses a publicly known key for encryption, but requires a different key, known only to the intended recipient, for decryption. In this system, appropriately called public key cryptography (PKC), the public key is the product of multiplying two huge prime numbers together. Only that product, 1024, 2048, or 4096 bits in length, is made public. But RSA decryption requires knowledge of the two prime factors of that product. Because there is no known method of calculating the prime factors of such large numbers, only the creator of the public key can also generate the private key required for decryption. RSA is more computationally intensive than AES, and much slower. It’s normally used to encrypt only small amounts of data. A major issue with AES is that, as a symmetric algorithm, it requires that both the encryptor and the decryptor use the same key. This gives rise to a crucial key management issue – how can that all-important secret key be distributed to perhaps hundreds of recipients around the world without running a huge risk of it being carelessly or deliberately compromised somewhere along the way? The answer is to combine the strengths of AES and RSA. In many modern communication environments, including the internet, the bulk of the data exchanged is encrypted by the speedy AES algorithm. To get the secret key required to decrypt that data, authorized recipients publish a public key while retaining an associated private key that only they know. The sender then uses that public key and RSA to encrypt and transmit to each recipient their own secret AES key, which can be used to decrypt the data. To learn more about how encryption is being used to ensure data quality and security today, please download our eBook: Data Encryption in the Mainframe World.